After decades of riding waves on boards made of foam and fiberglass, surfers have a high-tech alternative. Hydro Epic boards are hollow on the inside but have an extra-sturdy shell made of a carbon fiber-Kevlar composite and a thin aluminum honeycomb. To keep the air in the board from expanding and contracting in extreme heat or at high altitudes, there is a small vent at one end that lets air pass through while keeping water out. 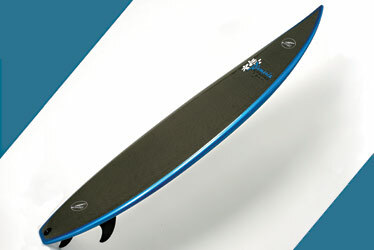 The radical design makes Hydro Epics stronger, faster and up to 30% lighter (the short board weighs 51⁄2 lbs.) than other boards. More important, the board has more flex, for better maneuverability.